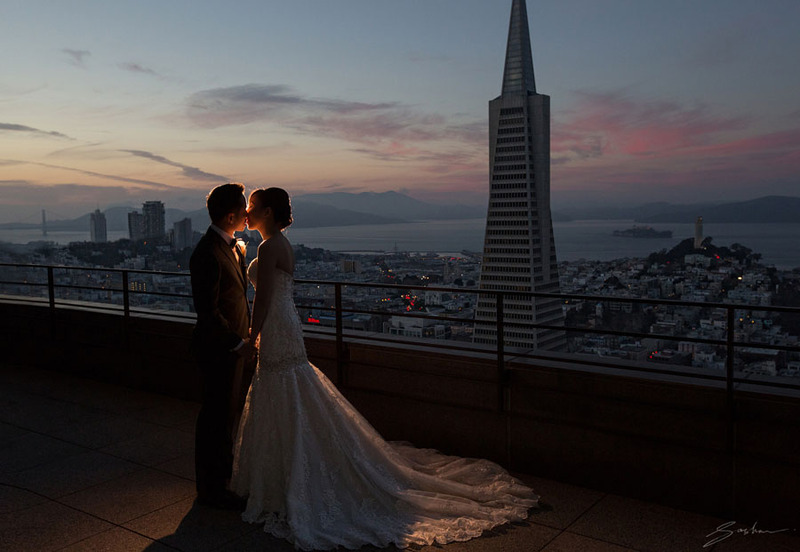 Scott and Ngoc enjoyed their first look on the terrace of the Mandarin Oriental Hotel in San Francisco. This wedding moment was truly incredible – a sunset, a young love, a gorgeous couple, and the vastness of San Francisco spread out below them. It truly felt meant to be, the way it all came together. Seriously, Say “Yes” to the Dress! I love the contrasts that emerge from my work! And I love the fact that my clients have such a high level of trust in me, to allow me to capture moments like this!